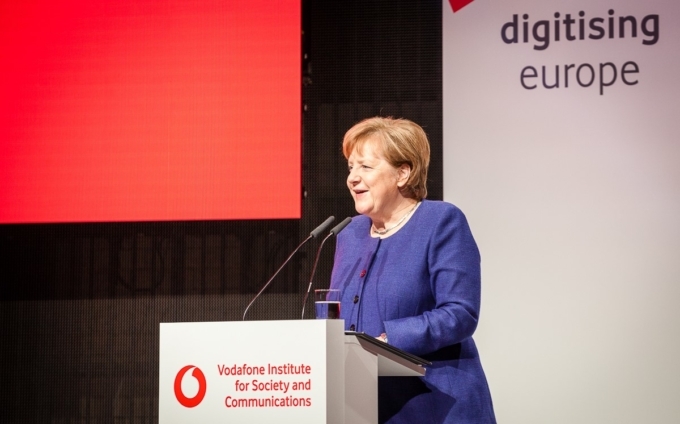 A "Gigabit pact” between politicians, companies, and banks to provide Germany with a fibre-optic network. 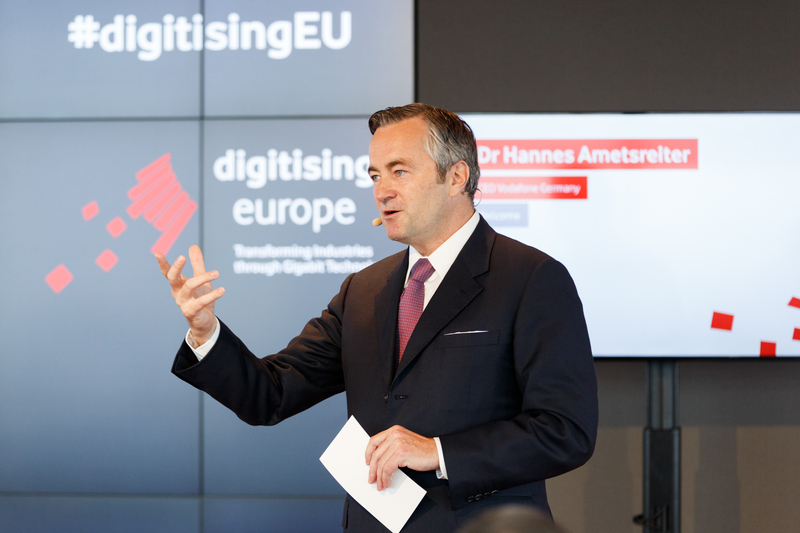 Hannes Ametsreiter, CEO of Vodafone Germany, argues in favour at the Digitising Europe Summit. The future is in a hurry. Data speed through the world. It hardly takes a millisecond for them to reach their recipient. Otherwise production in factories falters, or the driverless car brakes too late. We have long since crossed the threshold into the “gigabit society”; processes are controlled through vast amounts of data, not only in business but also in our daily lives. How does this digitisation change the way we live and work? Well – completely and from the ground up, states Hannes Ametsreiter. 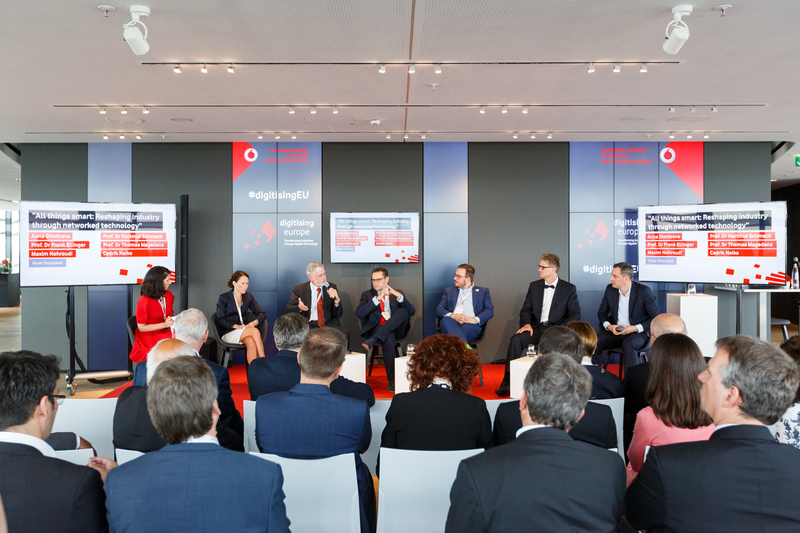 At the Digitising Europe Summit at the Vodafone Institute in Dusseldorf, the CEO of Vodafone Germany described the world as being “at the beginning of a revolution”. Everything is recorded; everything is evaluated. Computers and their mobile cousins, robots, are supporting people more intelligently and thus more comprehensively than ever before. Because they can draw on an abundance of what used to be found only with difficulty: reliable data. Worldwide, the increase in data volume is forecast to be more than 50,000 gigabits per second by 2019 – three times as much as today. Even these immense quantities can be easily transported with modern fibre-optic cables. Copper cable, however, is not able to offer the level required for the tempo of the gigabit society. Since Germany has relied on copper up to now, it is only in the international midfield in terms of its network coverage and the speed of its data lines according to a study by IW Consult on behalf of Vodafone Institute. Only 1.3 per cent of all connections in this country are based on pure fibre-optic connections, while almost 70 per cent are fibre-optic in South Korea. As such, data in Germany move slowly: at an average of 12.9 megabits per second whereas in South Korea it’s 26.7 megabits per second. One problem of data exchange in particular would be solved: latency, or the time between sending and receiving. Just 0.2 seconds can make the difference between life and death, as explained by Frank Ellinger of the Technical University of Dresden during the Summit: if a driverless car receives the information “child running onto the street” but brakes not until 200 milliseconds later, the car has already clocked five more meters (at 90 kilometres per hour). In contrast, the most advanced systems can exchange data in “real time” – within a millisecond. For a long time that seemed difficult to achieve. Even a latency of 30 milliseconds was considered great progress. 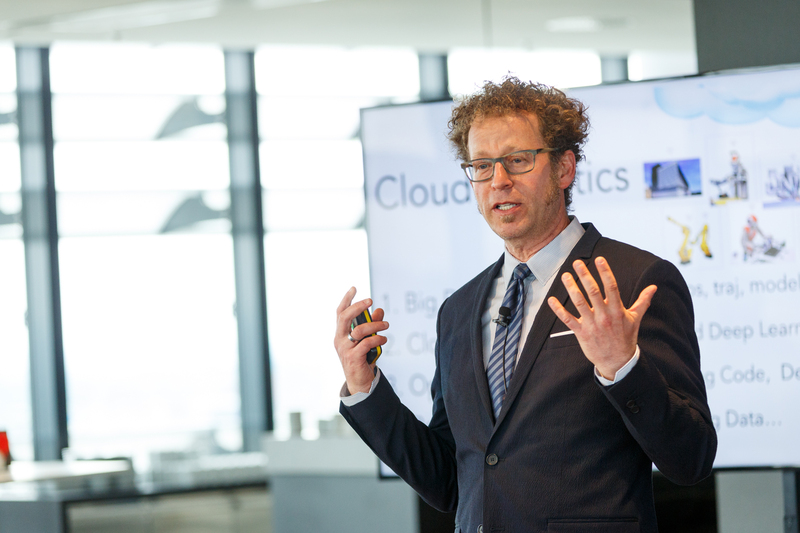 For Ellinger, “real-time” is a valuable intermediate step, but the target is “the speed of light – so there is still a lot of room for improvement”. As far as the companies engaged in the gigabit society are concerned, Ellinger might as well try. 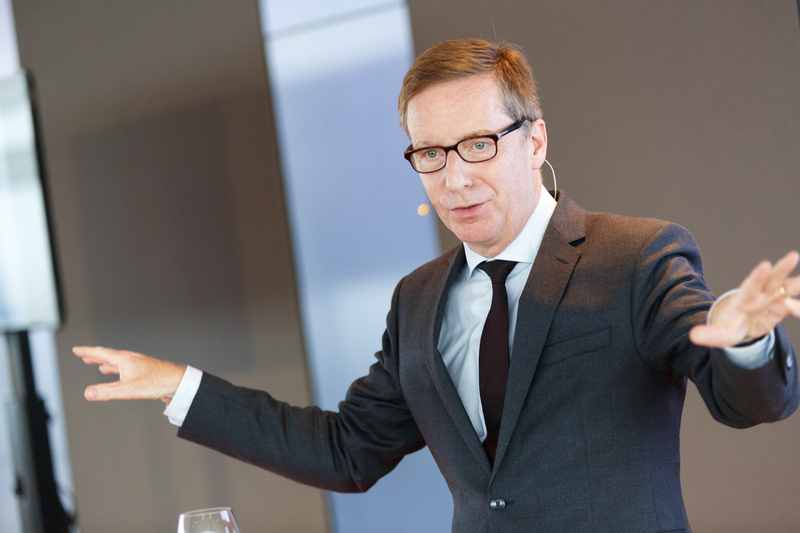 At the Summit, Klöckner CEO Gisbert Rühl described how Big Data has dismantled and rebuilt supply in the steel trade. In the medium term, Klöckner will build a digital marketplace that brings together the buyers and sellers of steel. To that end, Klöckner is collecting all data about its customers and transactions in order to interpret it and draw the right conclusions. 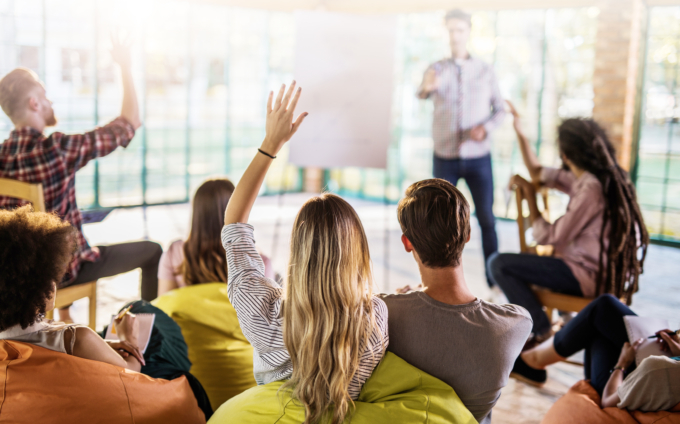 “We have to learn,” Rühl said, “and then use”. Klöckner is Cedrik Neike’s kind of company. The senior vice president of service delivery at Cisco claims: “Those who do not learn to collect and analyse data will perish”. The more so as robots are increasingly taking on work too. They’re still lumbering creatures able to do only a few tasks, said keynote speaker Ken Goldberg. However, this is changing through “Cloud Robotics”: robots connect to the Internet and expand their knowledge. Yet all this shouldn’t cause non-robots aka us nightmares: “There is still enough for us people to do,” Goldberg said. For example, revolutionise public transport. That is exactly what Maxim Nohroudi, CEO of Ally, is planning. The Berlin-based start-up collects data to determine who uses what kind of transportation and when. It is not just about women using the subway at night (reluctantly or not). “We want to find out what alternatives motorists in a congested inner-city might prefer”, Nohroudi said at the Summit. He wants to know at an early stage when and where each means of transport will be needed. “Our goal is public transport on demand”, said Nohroudi. “You don’t plan around the timetable of the bus – the bus plans around you”. This requires capital. 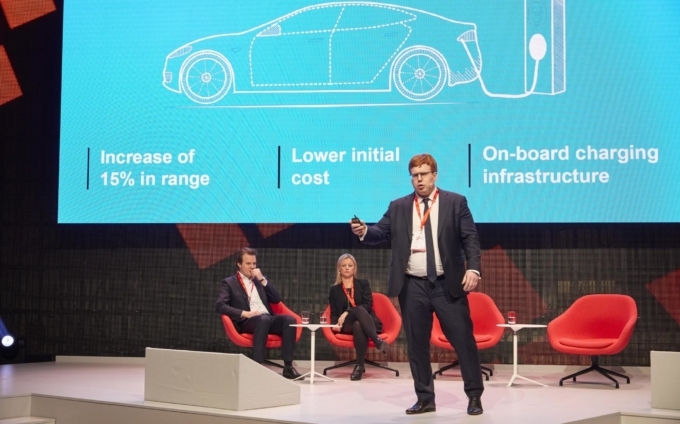 Currently, investors often become sceptical when they see business models for the gigabit society. The reason: There is still a partial lack in the network infrastructure. “If we want to achieve the gigabit society, we need a common approach in order to distribute the financial risks among multiple actors”, says IW director Huether. He would appreciate a discernible will of politicians to turn words into action. 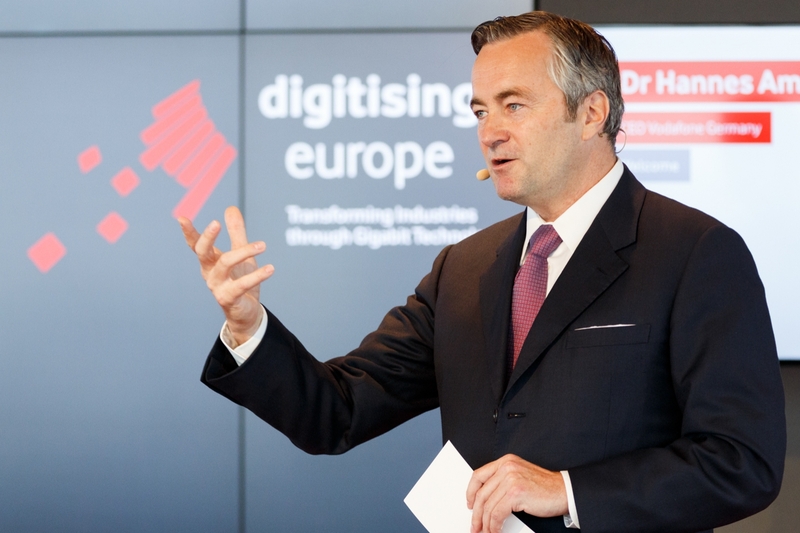 “In terms of potential, Germany has the most to gain from consistent digitization compared to any country worldwide,” said Cisco manager Cedrik Neike. And if it misses this opportunity, “it has a lot to lose”. Otherwise other nations will pull ahead. Sweden, United Kingdom, Spain, and Ireland understand “Digitising Europe” as a call to action and are investing heavily in the expansion of fibre-optic networks.